Whether you are a current boat owner or just considering purchasing your own boat or watercraft, you’ll want to make sure your personal property and legal liability obligations are properly protected in the event of a boating accident. While no one likes to think that a boating or watercraft accident could happen to them, the truth is that there are thousands of boating accidents in the U.S. every year. 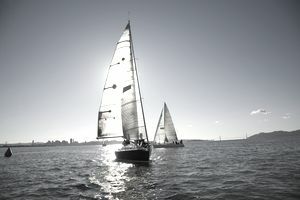 While practicing boating safety helps keep accident numbers down, there is always a chance the unthinkable will happen. According to U.S. Coast Guard statistics, in 2014 there were over 4,000 boating accidents in the U.S. resulting in 610 deaths, 2,678 injuries and approximately $39 million dollars in damage. You may be under the impression that if you have homeowners insurance your boat is automatically covered. This is not always the case. While you may have some protection under your homeowner's insurance policy, if you rely on this coverage alone; you may be under-insured. For those with newer models or expensive boats, a separate boat policy is likely a good option. Also, if your boat is in a marina, the marina may require you to care a marine policy with specific limits of liability. Check with the marina as to its specific requirements for boat owner’s liability insurance. Not every boat owner will have the need for a personal boat/watercraft insurance policy. Boats depreciate in value rather quickly in the same way an automobile starts depreciating in value as soon as you drive away from the car lot. For those with older boats, the cost of the insurance may outweigh the benefits you would receive in the event of a covered loss. You may be able to skip boat insurance altogether or perhaps you can purchase an additional rider to your homeowner’s insurance policy for a lower insurance premium than buying a separate boat policy. Hull insurance covers damage to your boat and any damage your boat causes to the property of others. This includes the cost of boat repairs. If a total loss occurs, hull insurance will pay the agreed value of the boat. Third Party Liability insurance covers damage your boat causes to the property of others. It will also cover any incidental damage caused such a liability stemming from fuel spills, towing, medical expenses and any rescue operations necessary. Your marina may require you to carry a third-party marine liability policy. All Risk Policies typically cover for any risk that is not specifically excluded in the boat insurance policy such as ice damage, freezing, pollution liability, reef damage liability, mechanical breakdown. Medical insurance is often available as a rider to the policy. Actual Cash Value or Agreed Value refers to the boat policy package type and whether it will pay the actual cash value of your boat or an agreed value predetermined when you buy your policy. Actual cash value may cost you less but an agreed value policy will secure the amount you can receive for your boat if a total loss occurs regardless of the depreciation, although in some cases partial losses may be depreciated. Boat Club covers all the members of a boat club when operating a vessel for property damage and liability. Professional Angler, Fishing Guide or Charter policies are available to cover travel and equipment needed for fishing tournaments. You may be able to help reduce the cost of your boat insurance if you qualify for available discounts. Many companies offer discounts to boat owners who have a boating license or if you are storing your boat under a covered structure such as a shed. You may also qualify for a discount if you have your boat inspected by the Coast Guard Auxiliary. Using all the available discounts will help you get the best value on an insurance policy. It is important for boat owners to remember is that there are times when your boat is not covered by your boat insurance policy. While your boat is in transit from your home to the water and is being towed by your personal automobile, your auto insurance policy covers your boat. You may not have as much coverage under your auto policy as your boat policy offers. There are often riders that can be added to an automobile policy to cover boats and other items that you may tow with your personal automobile. Also, if your boat policy specifies that your boat will be stored during a specific period, say for the cold weather months of November – February and you take the boat out for a ride during that time period; you have no coverage under your boat policy should an accident occur. Boating is an excellent way to relax with friends and family. You can rest easy knowing that your boat is properly protected. If you are still unsure whether you need boat/personal watercraft insurance, contact your local insurance agent to schedule a consultation or a representative of an insurance company offering boat insurance. If you determine a boat insurance policy is right for you, take some time to shop and compare rates with reputable insurance companies with satisfactory financial strength ratings from insurance rating organizations such as A.M. Best. With a few comparisons to look at, this will make it easier to find the right coverage at a fair price.